A.G.E. Consultants, Inc. | Testimonials: What to Expect - A.G.E. Consultants, Inc.
As an AGE Consultant employee I have experienced the compassionate care that Barbara elicits from her team when dealing with the diverse aspects of an elderly person’s life. I see this in the actual care provided each day but have also experienced detailed staff discussions in which Barbara and her team hash out the preferred actions for a client based upon social, family, financial, and other complications. 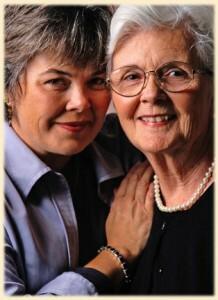 The client or family can then choose their preferred course of care. Barbara also does a great job of assembling a team of caregivers for clients that makes the well-being of the client top apriority. This focused approach to care for the elderly is the key reason I have been working for AGE Consultants for over 8 years. During that time in addition to traditional daily care, I have engaged many gentlemen on outings: free museums, picnics, concerts, the Arabian Horse Show, rides on the light rail, and remote control car bowling, to name a few. In order that a gentlemen with severe dementia could continue his life with his sister back in Oklahoma, I escorted him there on an airline. Our close friend, who passed away in June 2016, received expert attention from A.G.E. Consultants, Inc. during her last few years. After contacting A.G.E. Consultants and reveiwing their Assessment of Needs, it was discovered she was not able to take care of herself properly without home care companion care. She started out with part time companion care then progressed to 24- hour care with caregivers who were specifically trained for her situation. Under the supervision of the GCM/ RN the caregivers took care of medication, food, grocery shopping, and assisted with doctor appointments. The caregivers also took care of hygiene, entertainment as well as many other needs. Our goal was to keep her in her home, which is what she wanted. We would highly recommend A.G.E. Consultants for elderly people who need good care. It is with great pleasure that I write this letter on behalf of Barbara Applegate and AGE Consultants. I had the good fortune to have worked with Ms. Applegate and her staff since February 2014. When I met Ms. Applegate and engaged AGE Consultants, it was an extremely difficult and trying time during which it was discovered that my beloved aunt had been mistreated, isolated and financially abused. Barbara and AGE Consultants were, quite literally, lifesavers. Ms. Applegate and her staff worked heroically to assist me in protecting my aunt in every regard. They physically protected her from those who had taken advantage of her, assisted in hugely improving her living condition, and monitored her medications and health care to such an extent that my aunt’s health has steadily and measurably improved. Most significantly, Ms. Applegate has made it possible for me to successfully act as guardian/ convervator for my aunt in spite of the fact that my aunt lives in Phoenix and I live in Southern California. AGE Consultants has provided exceptional nursing care, medical oversight, management of my aunts spending, and 24- hour companionship. My aunt’s companions not only do a spectacular job of caring for her, they clearly care about her and provide her with interesting and stimulating activities. My aunt calls them her friends and is extremely fond of everyone at AGE Consultants. Not only do I have complete faith in Ms. Applegate and her staff, my aunt trusts them and loves to be with them. Her quality of life is excellent. Ms. Applegate had consistantly provided not only exemplary care and oversight, she has given me sage advice and provided invaluable peace of mind. I offer my enthusiastic, heartfelt and unreserved recommendation of Barbara Applegate and AGE Consultants.